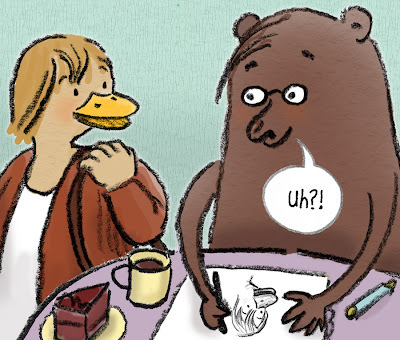 The first installment of Duck and Bear is now online! 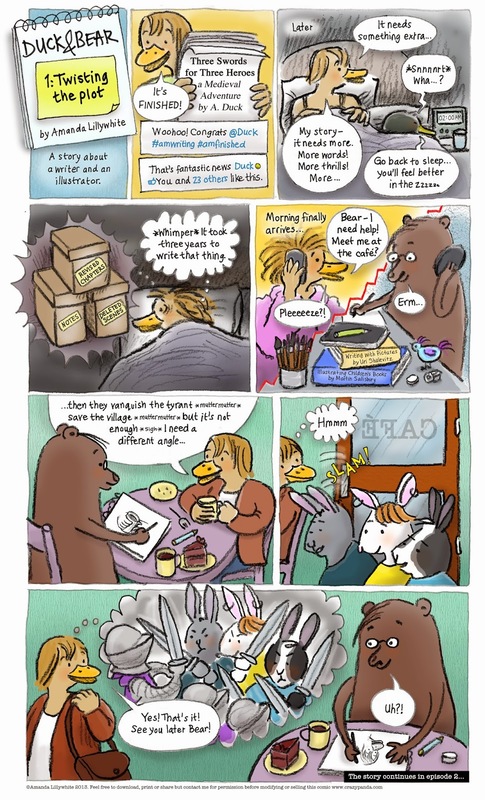 Created by Amanda Lillywhite especially for Words and Pictures, Duck and Bear web comic follows the trials and tribulations of hopeful writer Duck as she struggles to polish her novel and achieve publication, supported by her friend Bear the illustrator. This is such fun. And so true! Excellent! I AM Duck right now! I know the feeling Amanda. But rabbits in armour! Mmmm. This is so timely! I finished another 'last' draft of Florence and the Meanies yesterday but can't let go of it. Ah ha ha - YES! heehee - everyone should have a Bear friend - thanks Amanda, looking forward to part 2! I'm also feeling rather 'duckish' today ! Brilliant, love it! Do you think I might invite that Bear for tea? Thanks for the lovely comments everyone! Yep I share a bed with someone like that. And I meet in the café with people like that! Brilliant. Really love that! So funny! Looks like Duck & Bear is a hit.